The Cabinet Office is one of the most vital institutions in British government, acting as the backbone to all decision making and supporting the Prime Minister and Deputy Prime Minister in their running of the the United Kingdom. 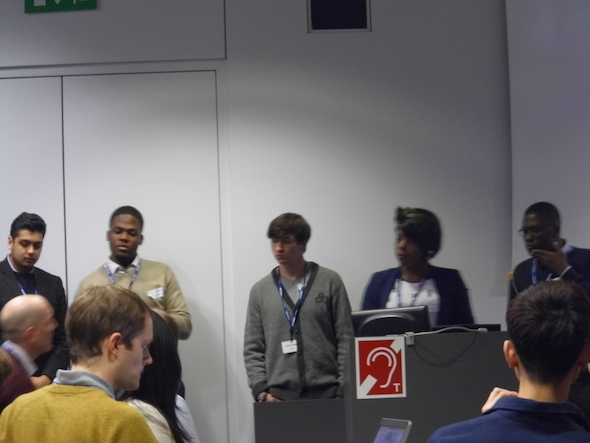 On the 19th of November, I was given an opportunity to attend an event run by this important institution where I would be mentoring young people from across London in Data Science and Open Data. The event was held at the headquarters of the UK Treasury, which occupies a palatial corner of Westminster overlooking St James’s Park, just a stone throw away from Buckingham Palace. Also in attendance were programmers, data scientists, project managers and statisticians from the likes of BT, Experian, data.gov, the Department for Education and the Foreign and Commonwealth Office, as well as my colleague Aine McGuire from ScraperWiki. 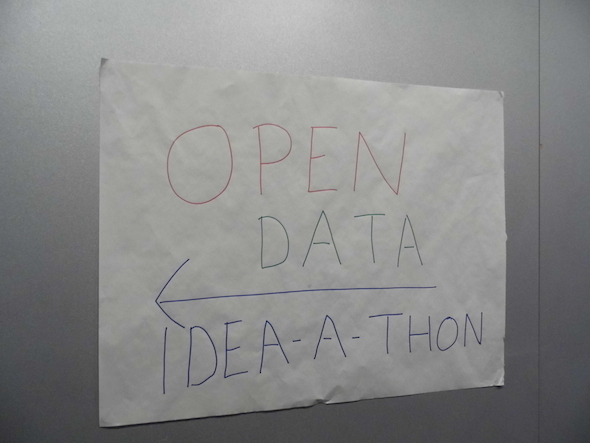 After a spot of chatting and ‘getting to know you’, the mentors and mentees split off into small groups where they’d start working on interesting ways they could use open government data; in particular data from the Department for Education. Students from a sixth-form college in Hammersmith and from the University in Greenwich chose to put together mapping technologies and open data to make it easy for parents to find good schools in their area. They even managed to create a tablet-ready demonstration product built using Unity 3D, which displayed a number of schools in England and Wales, with data about the academic performance of the school being displayed opposite. 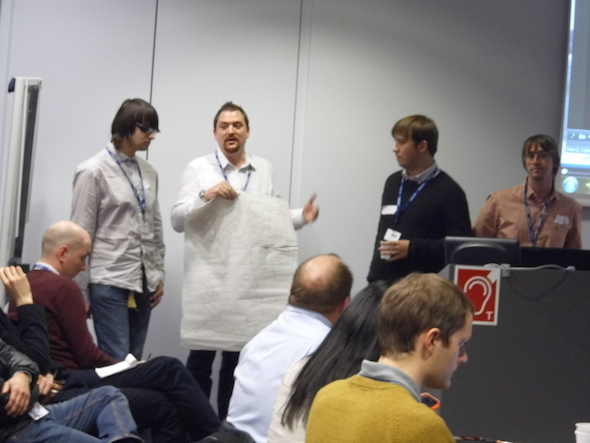 Despite the crippling time constraints of the day, they managed to create something that worked quite well and ended up winning the award for ‘best use of Open Data’. In British parlance, NEET is someone who is Not in Education, Employment or Training. It’s a huge problem in the UK, wasting huge amounts of human potential and money. But what if you could use Open Data to make it inspire young people to challenge themselves and take advantage opportunities related to their interests? And what if that came packaged in a nice, accessible phone app? That’s what one of the teams in attendance did, resulting in Neetx. The explosion in speciality colleges (confusingly, these are almost all high-schools) under the Labor government has made it easy for pupils with very specific interests to choose a school that works for them. But what if you wanted a bit more detail? What if you wanted to send your child to a school that was really, really good at sciences? What if you wanted to cherry pick (see what I did there?) schools based upon their performance based upon their performance in certain key areas? Cherry Picker makes it easy to do just that. Finding the right university can be hard. There’s so much to be taken into consideration, and there’s so much information out there. What if someone gathered it all, and merged it into a single source where parents and prospective students could make an informed decision? That’s what one of the teams attending proposed. They suggested that in addition to information from the National Student Survey and government data, they could also use information from Which?, The Telegraph and The Guardian’s university league tables. This idea also got a great reception from the mentors and judges in attendance, and is one idea I would love to see become a reality. I left the Cabinet Office impressed with the quality of the mentorship offered, the quality of the ideas given as well as the calibre of the students attending. The Cabinet Office really ought to be commended for putting on such an amazing event. Were you in attendance? Let me know what you thought about it in the comments box below.